CEVA has established a comprehensive partner ecosystem who provide communication solutions, multimedia software, complementary HW IP, development tools, RTOS, and design services based on CEVA’s signal processing and connectivity solutions. The CEVAnet™ partner program incorporates more than 100 strategic third party technology partners to form a robust infrastructure around CEVA’s IP offerings. We are a distributed team of professionals working in USA, Israel, Korea, Russia, China, Taiwan and Japan. Almalence utilizes CEVA-XM4 and CEVA-XM6 for implementing advanced computational imaging technologies that allow to go beyond the hardware constraints and achieve new levels of imaging systems performance and design. The examples are achieving enhanced low light performance and lossless zoom without increasing the size in mobile, lower z-height and wide aperture mobile cameras without compromising the quality, high resolution and aberration-free VR/AR without enlarging the lens, and ultra-thin optical designs utilizing big DSLR sensors. ArcSoft Inc., founded by Dr. Michael Deng in 1994 and headquartered in Silicon Valley of California, is a global leader in computational photography and visual computing technologies. Believing camera and image everywhere, since its founding, ArcSoft has been focusing in the technology and software applications related to imaging and computer vision on main stream devices and platforms, such as smartphones, DSC, VR cameras, drone cameras, IP cameras, smart TVs, robots, smart refrigerators, smart vacuum cleaners, automobile, PCs, tablets, servers, and internet applications. Normally deeply embedded in customers’ devices, ArcSoft’s software imaging solutions in the past ten years have been shipped with billions of hardware products, helping to improve the capture process, picture/video quality and users experience of mobile photography, enable specific visual features and/or even provide full applications. Customers include Amazon, Asus, Canon, Gionee, Gree, Hitachi, HP, Huawei, Intel, Lenovo, LG, LeTV, Midea, Nikon, Olympus, Panasonic, Qualcomm, Samsung, Sony, Vivo, Xiaomi, and many others. During its 20 year history, ArcSoft Inc., has successfully built up a top R&D team in the industry with hundreds of scientists and engineers specialized in all aspects related to the technologies of imaging and computer vision. We are actually called by our mobile phone customers the one-stop shopping solution provider on software imaging. More beyond its capability on inventing various advanced imaging algorithms, ArcSoft is also the best and usually the first in the world of enabling or applying complex software algorithms on devices requiring high quality imaging with high performance and low power consumption, but very limited computing resources. These combined capabilities enable our customers offer to the market with innovative features on their existing hardware platform for value differentiations and early time-to-the-market, or with existing features on a cheaper hardware configuration. Moving forward, by continuously putting over 30% of its revenue back into the R&D, ArcSoft invests heavily in the new visual methodologies and algorithms related to the dual-cameras on mobile phone, mobile 3D modeling, visual deep learning, augmented reality (AR), virtual reality (VR), and imaging artificial intelligence (AI). These efforts will result in more innovative software applications, continuously helping our OEM customers provide the most competitive and high value hardware products to the end users in the future. Brodmann17’s patented deep learning technology enables computer-vision for edge devices. The use cases are tremendous in scope and enable new areas and platforms, such as augmented reality, robotics, home security, smart cities, and autonomous vehicles, for the first time to deploy real-time high-performance, hardware-agnostic, video analysis at 5% of the computing cost or in turn to produce same detection abilities with low cost, low energy consumption processors. Corephotonics is the pioneer and market leader of dual camera technologies for mobile devices. Corephotonics’ mission is to perfect the mobile camera photography experience and to provide superior image quality by combining our novel optics, mechanics and computational photography technologies. Corephotonics’ founding team has pioneered computational photography in commercial devices and has been active in the camera phone market for over 10 years. CVS is a leading Russian developer focused on computer stereo vision. The company brings in world-class experts to work on innovative machine vision solutions built on the stereo principle. When you drill down to the heart of our hardware and software designed to process images and video, what you find is years of study put in our developers. They’ve dug deeply into pattern recognition, their research run as joint projects between St. Petersburg University’s system programming faculty and Lanit-Tercom. A scientific framework, top-notch professionalism, and a continual hunt for new ideas lets us create breakthrough technology, unique algorithms, and software without peer anywhere else in the world. No matter how complex the job, the team finds the best, smartest, and most cost-effective solution. The portfolio includes projects for Russian and foreign clients as well as some of patented developments. Software Services, Security sensors for UAVs, motor vehicles, and robots; 3D reconstruction; Polarization; Neural networks; Stitching panoramas; Gesture recognition in stereo. Smart, power efficient and low cost sensors are fundamental for IoT. Intelligence at the edge is an absolute must to determine what information should be passed up in the chain. emza Visual Sense has deeply analyzed these challenges and developed extremely efficient machine vision algorithms that enable smart IoT visual sensors. 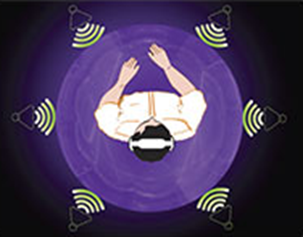 eyeSight is a leader in Touch Free Interfaces for digital devices. The company was established with the vision to revolutionize the way people interact with digital devices, to create an interaction which is both simple and intuitive. eyeSight’s solution is based on advanced image processing and machine vision algorithms, which analyze real time video input from common built-in cameras. This technology is designed for embedded platforms. It is optimized to operate utilizing minimal CPU and power consumption and supports challenging user environments with poor as well as direct lighting conditions. eyeSight’s Technology powers Touch Free UI Solutions which enhance the User Experience while operating devices and applications. These UI solutions enable users to use natural hand gestures to control devices and applications. DeepGlint is an artificial intelligence company which specialize in both computer vision and deep learning technologies, and also develops the embedded hardware. The company provides big-data productions and solutions for customers. Its proprietary DeepGlint TechnologyTM is world-leading in detection, tracking and recognition of humans and vehicles. DeepGlint focuses on, but not limited to, public security, intelligent transportation and financial security. The company is also exploring on driverless vehicles, robotics and intelligent medical at the same time. Create, innovate and deliver the next generation of computational imaging algorithms. IRIDA Labs is a platform-independent leading technology provider of software and silicon IPs for Embedded Video Processing. The company possesses significant knowledge in analysis, modeling, design and development of high-fidelity reference components and systems in Video Processing and Computer Vision, using state of the art CPU, GPU and DSP in the context of heterogeneous computing. Our product and technology portfolio includes embedded vision software and silicon IP for high throughput applications such as video stabilization, face detection and recognition, low-light video enhancement, HQV, pedestrian detection and traffic sign recognition addressing mobile, wearables, surveillance, automotive and consumer electronics. Founded in late 2007, IRIDA Labs is a privately-held company with headquarters in Patras, Greece and worldwide sales support, backed by VC and private investors. IRIS-EnLight exploits sophisticated image and video processing technologies to enable high quality video under challenging lighting conditions in real-world applications like mobile phones, surveillance cameras and automotive. Images and videos captured in low-light conditions are facing two problems: Insufficient visual information and excessive noise. The IRIS-EnLight core simultaneously addresses these, in order to reach a clear and properly illuminant output. IRIS-Enlight is not based in an HDR approach thus it does not suffer from the limitation of multi-frame HDR techniques (blurring, ghosting, etc). To this end, and due to the highly innovative techniques employed in this IP core, IRIS-EnLight is able to process video streams in real time and under any motion conditions, without limiting the freedom of the camera user. However, although it is not an HDR module, IRIS-EnLight has inherent HDR characteristics, being able to work evenly well in high dynamic range scenes. Moreover, by using EnLight, integrators can significantly leverage the functionality and response of the device cameras, by allowing higher shutter speeds, which in other case would lead to darker results and inferior image quality. IRIS-EnLight has been optimized for the challenging computational environment of mobile devices and can process video streams in real-time and with low-power. It incorporates a bundle of innovative color tone-mapping techniques as well as a proprietary video de-noising system providing high-quality results. IRIS-VISTA is a unique video stabilization software module bringing advanced imaging capabilities to embedded systems. It is a flexible and scalable solution fully optimized to run in real-time using minimal processing workloads and very low memory bandwidth. IRIS-VISTA has been optimized for the challenging computational environment of mobile devices and can process video in real-time. The combination of high-quality results and low computational requirements as well as low power consumption makes IRIS-VISTA an excellent solution for mobile appliances. In addition to motion compensation, IRIS-VISTA allows for the correction of rolling shutter distortion which results in geometric image distortions and in the so called «jelly effect», often present in videos captured with CMOS camera sensors. IRIS-VISTA – transforming your videos into memories you want to save and share. MM Solutions AD is one of the largest mobile and industrial imaging companies. During the past 15 years, MMS established itself as well known and reliable partner for OEMs wanting to differentiate their imaging products by outstanding image quality, innovation, performance and robustness. More than hundred mobile products are using MMS camera solutions and imaging algorithms, providing excellent imaging. Five of them were awarded by international photography association (TIPA) as best mobile imaging devices. Partnering with the most popular SOC vendors and ramping up quickly on new platforms, MMS is targeting to become one-stop-shop for mobile, industrial and automotive imaging needs, providing algorithms and services needed to create best-in-class products. Combined with the strong in-house expertize for Android/Linux/RTOS development, integration and testing, MMS brings significant value to customers products quality, usability, time to market, support and maintenance. SW ISP, Bayer domain algos (temporal noise filters, aberrations corrections), YUV domain algos (edge enhancements, spatial and temporal filtering), Auto exposure, Auto white balance, Auto and continuous focus, Flash control, Computational camera (stereo, depth, object segmentations and tracking, fusion), CV algorithms porting and optimization. mPerpetuo Inc. is a bay area start-up, that has set out to solve real-world system challenges of designing and optimizing image capture and display devices using vision, image processing, and real-time technologies. mPerpetuo provides a full Halide language port that can generate CEVA-XM code and a full runtime environment to execute those pipelines on the CEVA-XM hardware. These tools and technologies form the core necessary to develop imaging algorithms targeted at the CEVA-XM using the Halide language. In addition, CEVA and mPerpetuo provide a reference imaging pipeline that can be used as a basis for building custom camera acquisition, display, image processing and vision applications. This pipeline contains all of the key basic blocks of image processing from raw sensor input to denoised and color processed final output. It is highly customizable and built in a modular fashion in which new blocks can be added easily, and existing blocks can be modified or replaced as needed according to customer’s design. On top of this baseline image pipeline, mPerpetuo also provides additional visual code generation tools to ease the process of software development with Halide, and consultation in optimizing and working with Halide on the CEVA-XM family of products. mPerpetuo and CEVA will join forces to train and enable their joint customers – to migrate their ISP’s to Halide. wave of natural user interfaces (NUIs) that can analyze and understand facial movements. A primary use model of the nViso technology is to interpret people’s emotions by tracking hundreds of micro-expressions and movements to gain a more accurate and real-time understanding of the user’s emotional reactions to any media content, gaming or interactive experience. The nViso facial imaging engine is also able to recognize people’s age, gender, eye movements and other factors that can be used to deliver a more personalized experience to users. Pisoftware Technology Co., Ltd. (a.k.a. PiSofttech), headquartered in Shenzhen. China, is a tech-based startup focusing on intelligent vision methodologies and solutions. The company possesses state of the art technologies in computer vision and machine intelligence. Since its founding, PiSofttech with an outstanding reputation and performance has been providing quality and reliable solutions in panoramic VR, the 4D light field, industrial inspection, and biometrics. The panoramic VR system provides a complete solution including automatic calibration, multi-channel video/audio synchronization, color/vignetting correction, dynamic stitching, media encoding/decoding, live streaming, and real-time displaying. By utilizing the light field methodology, the panoramic acquisition device with multi-cameras can generate 6 DOF (Degree of Freedom) scenarios for VR and MR applications. Besides, the state of the art technologies based on pattern analysis and machine intelligence is introduced into the panoramic scenarios for further applications such as object detection, tracking, and personal authentication. Pisofttech is a leading provider of panoramic solutions. We provide binocular panoramic stitching SDK based on CEVA-XM4 platform to help panoramic product to achieve real-time high frame rate image stitching. Designed to be optimized for CEVA platform, our SDK can be integrated into the product system simply to ensure a fast and stable shipment. Visidon is a leading software vendor for mobile imaging. It specializes in innovative technology and solution development helping device manufacturers and service providers to create unique imaging experience. Visidon’s well known technologies for facial image analysis, object tracking and recognition are designed for embedded and mobile platforms being optimized for low computing and energy efficiency. Visidon is expert in developing image processing algorithms and computer vision technologies. Its software has been successfully deployed in handsets and tablet products worldwide helping device makers to differentiate with excellent imaging functionalities. New Visidon solutions for computational photography and image enhancement bring mobile image quality to totally new level and enable applications to entertain and make it easier for users to capture and enjoy great photos. Visidon offers SDK products for various imaging applications, like face detection and tracking, smile and blink detection, age and gender recognition, face recognition, and face beautification that are technologies enabled by Visidon VDFaceSDK products. In addition to facial image processing software, Visidon offer SDKs for other camera and video solutions, such as object tracking, shake detection and low-light image capturing, for example. Visidon’s super fast and energy efficient software solutions are optimal for wide range of application with high requirements. Aricent is a global innovation technology and services firm focused exclusively on communications and a leading supplier of end-to-end LTE software frameworks as well as telecom design, R&D and integration services. The company’s library of over 125 licensable products, including communication modules and software stacks and pre-packaged frameworks jumpstart development cycles and help reduce design costs. ArrayComm is a provider of LTE and WiMAX physical layer solutions for wireless infrastructure and client device applications. ArrayComm is a world leader in Multi-Antenna Signal processing, delivering commercial A MAS™ software now that combines MIMO, beamforming, and interference cancellation to improve end user experiences and radio network economics through gains in coverage, client data rates, and system capacity. The company’s comprehensive and flexible PHY solutions include optimized DSP software and hardware accelerators that save development costs and time-to-market. ArrayComm’s LTE eNodeB PHY is a fully scalable baseband physical layer solution incorporating industry-leading A-MAS™ multi-antenna signal processing software. 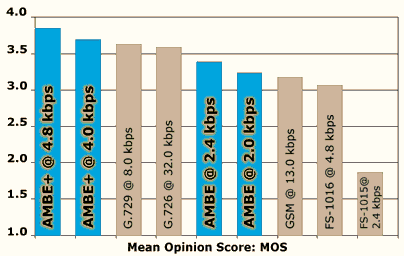 ArrayComm have implemented their LTE eNodeB PHY on the CEVA-XC DSP core. ASTRI’s core R&D competence in various areas is grouped under seven Technology Divisions, namely Communications Technologies, Electronics Components, Mixed Signal Systems IC, Advanced Digital Systems, Opto-electronics, Security and Data Sciences, and Intelligent Software and Systems. Five areas of applications including financial technologies, intelligent manufacturing, next generation network, health technologies, and smart city are identified for major pursuits. Catena has since its establishment in 1986 developed as a center of excellence in Radio Frequency Communication, Analog, Mixed Signal and Digital Signal Processing. Evidence of our success is the continuous growth of the group, our expanding international customer base as well as our long standing strategic partnership with major semiconductor manufacturers. Catena’s Connectivity RF IP portfolio includes optimized, very low power Bluetooth Smart radio, Bluetooth Smart Ready radio, Wi-Fi (802.11a/b/g/n/ac 1×1 and MIMO) radios and combo Bluetooth / Wi-Fi radio. The radio IPs are available on a number of process nodes including GLOBALFOUNDRIES and TSMC, and may be ported to alternatives based on customer requirements. CommAgility is an award-winning developer of embedded signal processing and RF modules, and LTE PHY/stack software, for 4G and 5G mobile network and related applications. Bluetooth Low Energy RF IP CSEM, founded in 1984, is a Swiss research and development center (public-private partnership) specializing in microtechnology, nanotechnology, microelectronics, system engineering, photovoltaics and communications technologies. Around 450 highly qualified specialists from various scientific and technical disciplines work for CSEM in Neuchâtel, Zurich, Muttenz, Alpnach, and Landquart. Bluetooth Low Energy RF transceiver which provides the Physical Layer, Bit Stream Processing and Air interface Packet assembly and disassembly. It can support IEEE802.15.4 and proprietary standards from 62.5 kbps up to 4 Mbps. Founded in 2008, Galileo Satellite Navigation is a leading provider of software based GNSS receivers, GNSS simulators and GPS Indoor Navigation Infrastructure solutions. GSN’s GNSS portfolio allows mobile vendors, networking and digital home vendors to minimize costs and extend flexibility and robustness of their GNSS requirements. GSN’s software-based GNSS receiver not only reduces manufacturing costs – it provides superior flexibility, configurability, and upgradability. Flexible software platform can be easily adapted to customer requirements. Highly configurable to support a wide variety of applications. GPS receiver activity is optimized per-application, saving on battery resources. CEVA and GSN have partnered to offer a fully programmable GNSS Receiver IP core. The system fully supports GPS navigation and the solution scalability supports multiple GNSS constellations and A-GPS. Minimal hardware accelerators can reduce power consumption by as much as half. The receiver supports snapshot operation mode for ultra-low-power mobile scenarios. The GNSS IP Core architecture supports CEVA-XC Core as well as CEVA-TeakLite-III and delivers outstanding performance while maintaining minimal consumption of its processing power and without compromising on power consumption. As an experienced CEVAnet partner, GSN provides highly-optimized GNSS IP integration, assuring highly reliable performance and quick time-to-market. CEVA’s DSP cores provide industry-leading processing power, ensuring future-proof performance as requirements evolve. Existing CEVA customers may be able to utilize their CEVA DSP for existing and future solutions to added embedded GPS capabilities. GSN’s soft GNSS receiver running on CEVA-XC is a powerful IP core which is designed to interface with host processors in navigation and mobile platforms. This powerful GNSS soft receiver integrates with any RF frontend without any hardware add-ons, significantly minimizing the silicon footprint of the solution. The receiver includes a powerful baseband software signal processing engine to achieve the highest positioning performance even at low signal level conditions. GMV is a privately owned technological business group with an international presence. Founded in 1984, GMV offers its solutions, services and products in very diverse sectors: Aeronautics, Banking and Finances, Space, Defense, Health, Security, Transportation, Telecommunications, and Information Technology for Public Administration and large corporations. Since early 2000, Global Wireless Technologies (“GWT”) has been a design and developer of wireless solutions for the cellular communications markets. Drawing on its software library and technical expertise, GWT has developed multi-standard solutions. These solutions are aimed at resolving challenges and fulfilling requirements in the commercial cellular, government, and test & measurement markets. GWT’s focus on flexibility, price, efficiencies (size, scalability, power, output, ease of integration), quality, coupled with our technical expertise and emphasis on customer satisfaction enable us to provide superior solutions for customers in well-defined and niche markets. Idea! Electronic Systems is a leading engineering design-house and IP provider for the Digital TV industry. The company’s best-in-class technology and IP portfolio includes complex DTV modulators and demodulators for a variety of standards including DVB-S, DVB-S2, DVB-C and ISDB-T, as well as other components of the Digital TV system such as Digital Frontend and FEC IPs. The company’s DSP based demodulation solutions significantly save development costs and time-to-market of multimode DTV demodulators. Idea! Electronic Systems offers a complete software based ISDB-T solution implemented on the CEVA-XC DSP core. The ISDB-T solution is based on CEVA’s Multimode DTV reference Architecture enabling running multiple DTV standards on the same programmable platform. Nestwave is a startup in Paris, France, developing advanced Indoor and Outdoor, Low-Power Mobile Positioning technology and solution. With accuracy similar to GPS, ubiquitous coverage and longer battery life, the solution is ideal for Smartphones and the Internet of Things. PA is a global technical consultancy firm, with a strong team focused on communication and wireless technologies. PA offers wide range of software radio solutions and services for 3G Layer-1 Signal Processing and has a strong experience with DSP processors. PA also provides independent technical support and advisory for vendors, regulators, operators and users of mobile systems. PA Consulting offers integrated 3G (HSPA) PHY software optimized for the CEVA-XC323 targeting all different wireless infrastructure applications from Femto up to Macro. Tempow provides state of the art Bluetooth protocol stack optimized for multi streaming of audio to several speakers, headsets and to true wireless earbuds. Moreover, several earbuds or headsets can be connected to a single phone to take part of a conference call (without using the speaker mode). You can also enjoy real time translation: each member can speak and hear in his language. TurboConcept is an industry-reference provider of Intellectual Property Cores (IP Cores) for turbo and LDPC codes. Since the company was created in 1999 we have been at the forefront of innovation in Forward Error Correction (FEC). TurboConcept has been contributing actively in open standardization bodies like DVB and has developed a large product portfolio of standard and proprietary customized solutions. More than 50 License Agreements have been registered with customers convinced with the high quality and reliability of our products. TurboConcept provides silicon-proven wireless PHY Cores offering the best level of performance in terms of silicon cost and power consumption and support three PHY layer specifications: HSPA, LTE and WiMAX. Alango is a leading provider of voice processing technologies for mobile and other types of voice communications. Alango technologies are distinguished by high voice quality as well as their robustness to different types of noises and possible non-linear distortions in a voice communication system. Alango technologies are designed to provide maximum ease of integration into baseband software as well as other applications and computational environments. They require little fine-tuning for a specific acoustic environment or product. Besides, developed auxiliary procedures allow automatic estimation of acoustic parameters of a product and technology fine-tuning providing the best possible performance. Significant Alango advantages are its flexibility in its business model and excellent support provided to technology licensees and equipment manufacturers. There are Full, Lite and Compact versions of the package implementing different tradeoffs between MIPS, Memory and processing delay parameters. These versions cover all possible types of applications providing the best possible performance for available resources. Technologies from the Voice Communication Package are very well integrated with each other sharing the same subband decomposition schemes and some computational blocks. However, if necessary, each of them can be used as a standalone technology. Noise Dependent Equalization dynamically changes/equalizes the sound produced by a mobile communication device speaker according to user’s environment. The objective of the technology is to modify the reproduced sound in way so that it is always intelligible but not annoyingly loud in changing noisy conditions. This is achieved by monitoring the intensity and spectral properties of the environmental noise and modifying the reproduced sound accordingly. This technology virtually eliminates the need for volume control on mobile communication devices such as mobile phones and hands-free car kit. AM3D provides world-class audio technology. The company delivers software solutions for audio enhancement and 3D audio for mobile phones and other portable devices, in-car and home entertainment systems. ZIRENE® SOUND is a HD quality audio enhancement solution. It significantly improves the output sound quality of audio playback devices such as smartphones, tablets, TVs, soundbars, Head Mounted Displays, headphones and other kinds of devices in which audio is an essential part of the user experience. Mobile device audio enhancement solution specially for micro-speakers. OptimSpeaker 2 Lite, Classic and Premium. All of the ARKAMYS OptimSpeaker 2 solutions offer a powerful combination of embedded software, tools, and processes to compensate for the audio limitations typical of smartphones, tablets, and wearables. By combining ARKAMYS newest software with top-notch SAT (Sound Adjustment Toolset) cutting edge algorithms and audio expertise, this sound optimization technology improves audio spaciousness and clarity while respecting the original timbre of every sound. Bongiovi Acoustics is the developer and patent holder of the award-winning Digital Power Station ™ technology, the Ultimate Audio Solution for any product or service with sound. Bongiovi DPS is a patented algorithm that optimizes audio in real time. DPS Profiles are created and implemented for ultimate audio flexibility in any sound scenario. At the heart of DPS is our profile system. A DPS profile contains over 120 calibration points that configures the patented DPS algorithm. Each profile is carefully crafted by Bongiovi acoustic engineers. These profiles are used to optimize the audio signal in real-time; for the output device (speakers), environment (high noise), and to emphasize a “sound” or other desired effects. Cyberon Corporation, with its headquarter in Taipei, Taiwan, is a leading embedded speech solution provider and supported by experts experienced in Speech Recognition and Text-to-Speech technologies for tens of years. Cyberon's speech solution is developed specifically for mobile & portable devices to provide users a convenient, natural and reliable user experience. CyweeMotion is a leading solution provider of motion processing software, firmware, and IP for mobile, wearable, and IoT devices. The team was a spin-off from Taiwan’s Industrial Technology Research Institute (ITRI) with more than ten years’ experience in motion sensing technology. CyweeMotion’s technology enables sensor fusion, gesture recognition, contextual awareness and pedestrian navigation (PDR) in a highly power efficient manner. CyweeMotion provides total solution to enable faster time-to-market and our offering includes firmware, motion libraries, and related APIs in Android. CyweeMotion solution powers world’s established Mobile OEM partners such as HTC, Lenovo and is qualified in the mobile device market. Founded in 1988, Digital Voice Systems, Inc. (DVSI) of Westford, Massachusetts, is a world leader in the development of low data rate, high-quality speech compression products used in digital communications and storage applications. A compiled cross-platform C Language Reference source code based on DRA technical specification. Digital Wave reference source code is strictly in accordance with DRA technical specification and optimized to various platforms. Coding Algorithm optimization mainly aims to adjust the algorithm parameters in different transmission rate, in order to obtain a better coding effect. Founded in 2001, Dirac Research is a premier R&D company specializing in high-performance digital sound optimization, room correction and sound field synthesis. The company was founded by researchers from the Signals & Systems Group of Uppsala University, Sweden, which has fostered 8 Nobel Prize laureates. With Dirac’s patented toolbox for efficient and accurate audio system optimization, customers such as BMW, Bentley, Rolls Royce and Datasat Digital Entertainment have achieved dramatically improved sound quality and a shortened time-to-market. The Dirac HD Sound solution is a mixed-phase loudspeaker correction technology that optimizes a sound system’s transient reproduction and frequency response for optimal performance and clarity. This software offering has now been fully optimized for the native 32-bit processing capabilities of the CEVA-TeakLite-III architecture, ensuring a cost-efficient low power and low system overhead solution, even within constrained systems. The Dirac HD Sound technology has been proven across a range of high-end audio applications in the consumer, cinema, professional and automotive markets. The technology is customized to a specific sound device and enhances many audio and voice aspects, including voice correction, stereo image correction, bass correction, listening fatigue minimization, and tonal and transient correction. Resonances, diffraction, group delay errors, etc., are all minimized. Sound system design flexibility is greatly enhanced by the ability to tailor the loudspeaker/earphone response digitally without hardware changes. Similar sound characteristics can be achieved across multi-sourced speaker/earphone solutions by applying customized filters with the same target response. Dolby Laboratories is a recognized innovator in audio entertainment. Established by Ray Dolby, the company first developed noise reduction systems to improve recorded sound quality. Now, the name Dolby is synonymous with quality audio throughout the world. All the Dolby codec implementations for CEVA cores are fully certified by Dolby and can be obtained directly from CEVA. Microphone cleaner software, uses raw microphone data to detect, extract, and clean any voice commands found in the ambient sound field, wind noise reduction, uses a proprietary Machine Learning algorithm to actively strip away up to 30dB of interfering noise. Voice controlled products span the spectrum of embedded design, from picowatt sipping wearables to home-theater products with near limitless processing resources. DTS, Inc. (NASDAQ:DTSI) is dedicated to making digital entertainment exciting, engaging and effortless by providing state-of-the-art audio technology to hundreds of millions of DTS-licensed consumer electronics products worldwide. 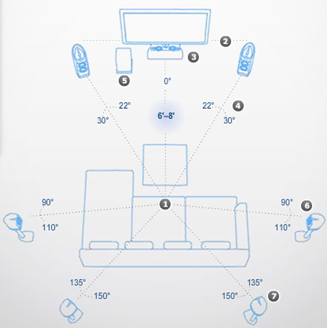 From a renowned legacy as a pioneer in multi-channel audio, DTS became a mandatory audio format in the Blu-ray Disc™ standard and is now increasingly deployed in enabling digital delivery of movies and other forms of digital entertainment on a growing array of network-connected consumer devices. DTS technology is in home theaters, car audio systems, PCs, game consoles, DVD players, televisions, digital media players, set-top boxes, smart phones, surround music software and every device capable of playing Blu-ray discs. Founded in 1993, DTS’ corporate headquarters are located in Calabasas, California with its licensing operations headquartered in Limerick, Ireland. INNER BEAUTY engine replaces the traditional hardware infrared sensor currently used in most phones and allows for a beautifully designed full-screen device. It uses the Ultrasound Virtual Proximity sensor. Hardware-based optical sensors have been an indispensable part of every smartphone to turn off the screen and to disable touch functionality when a user holds a device to their ear. By replacing these hardware components with Elliptic Labs’ INNER BEAUTY—the first software-based solution to replace the optical proximity sensor—the unsightly black holes on the front of the smartphone will be removed. The result is a more aesthetically pleasing design. ForteVoice - embedded software package that can run on virtually any mobile platform to deliver advanced voice processing capabilities for the device. Hybrid voice processing system that combines spatial filtering, source separation and adaptive statistical signal processing to deliver advanced voice and audio capabilities to consumer electronic devices. Tailored for use in hand-held devices such as cell phones and tablets. KORG is a world leader audio company offering the finest electronic musical instruments and software plug-ins using the latest technologies and algorithms. 3D sound positioning technology that takes one or more signals representing individual voices, instruments or sound effects, applies processing to position each input independently at the chosen location in 3D space, and mixes the results down to the number of channels required for the target delivery system, whether stereo earphones, speakers, or multi-speaker surround systems. IFLYTEK CO., LTD. (iFLYTEK) is a national key software enterprise dedicated to the research of intelligent speech and language technologies, development of software and chip products, provision of speech information services, and integration of E-government systems. The intelligent speech technology of iFLYTEK, the core technology of the company, represents the top level in the world. Malaspina Labs advances the state of the art in real-time speech enhancement for ultra-low power devices. Malaspina Labs offers fully supported commercial implementations of our proprietary Model Based Speech Discrimination algorithms which improve both person-to-person and person-to-device voice communication in high-noise environments. Malaspina Labs focuses on the development of speech processing algorithms which operate deterministically at bone-conduction, telecom, and voice interface latencies within the resource constraints of milliwatt-class processors designed for mobile, embedded, medical and consumer devices. At Maxim Integrated, we’re solving engineering problems and empowering design innovation, enabling our customers to create products that shape our world. Our innovative and high-performance analog and mixed-signal products and technologies make systems smaller and smarter, with enhanced security and increased energy efficiency. Mobile devices, such as smartphones, tablets, and ultrabooks, experience huge challenges when it comes to speaker design. They must balance a desire for bigger sound, better sound quality, lower power, and improved reliability against the increasingly smaller size of micro speakers. Electromagnetic micro speakers have a permanent magnet and a voice coil attached to a diaphragm that pushes the air to create sound. A micro speaker is enclosed in a protective box that provides the back volume for the speaker to push against and project sound. However, micro speakers have inherent problems: they are not very loud, they have no bass response, they can break easily, and they can be easily overdriven to the point where the sound is distorted. Our patented Dynamic Speaker Management (DSM™) technology overcomes these challenges for micro speakers. The result is that DSM creates a much louder and richer sound experience over conventional technologies. The Windows Media Audio decoder decodes audio streams that were encoded by the Windows Media Audio Encoder. The encoder and decoder support three categories of encoded audio: Windows Media Audio Standard, Windows Media Audio Professional, and Windows Media Audio Lossless. At Nuance, our people and our technology have pioneered the highest functioning speech software in the world, perfecting the ability for machines to recognize and emulate the human voice. We design and deliver technologies that intuitively link man, machine and the global storehouse of knowledge to help companies and consumers work seamlessly and intelligently with the world. Our rich heritage, strong financial background, innovative technology and pervasive solutions are the pillars that form the foundation of Nuance Communications today. NXP Software’s LifeVibes VoiceExperience software engine has been deployed in more than 700 mobile phones, smartphones and tablets up to date and used in more than 130 countries worldwide across more than 30 different network operators. It meets all strictest Network Carriers voice quality requirements and industry standards (like HD Voice logo, GSMA VoLTE, etc.). NXP Software is a Google Open Handset Alliance member with an extensive knowledge and competence in voice integration in the latest Android versions, as well as in any other mobile Operating System or mobile platform. NXP Software offers worldwide local customer support providing integration, tuning and deployment assistance to its customers in local time zones and local languages. QSound is a global supplier of audio software technology for mobile devices, headphones, Bluetooth devices, televisions, stereo PC multimedia equipment and other consumer electronics. QSound’s sonic technologies, algorithms and special effects include: polyphonic wavetable synthesizers, 3D audio, multi-speaker system surround synthesis, virtual surround sound capability, 3D sound stage expansion, 3D positional audio, low/mid/high frequency spectral enhancement, reverberation, dynamic range control, equalization, and anti-saturation among others. Automatic Speech Recognition – Small vocabulary, multi-lingual, command-and-control technology to easily and safely control any set of functions through voice commands. For example: call acceptance/rejection, device setup and installation procedure (pairing/calibration/interconnection, etc. ), music streaming control, machine operation, handsfree lever/switch/keypad replacement, etc. Text to Speech – Announces textual content such as names, numbers and phrases in a range of languages with a natural, warm, human-sounding voice. Biometric Speaker Verification – Offers a small footprint and a low-cost design for effective biometric identification and authentication on any consumer product or mass market device. Compressed Speech Coding/Playback/Storage – Speech compression algorithms offer storage and playback, or transmission of recorded speech that can be used to play user instruction prompts, device status indications, alert messages, entertaining content, memo recordings or even real-time speech channels. Rubidium also provides support for development of new interaction languages, software code porting, optimization, integration, customization and engineering requirements specific to our customers’ software or hardware platforms. Sensory, Inc. is the leader in speech technologies for consumer products, offering a complete line of IC and software-only solutions for speech recognition, speech synthesis, speaker verification, music synthesis and more. Sensory’s products are widely deployed in consumer electronic applications including Smart Phones, Automotive, Bluetooth™ products, toys, and various home electronics. Sensory’s customers represent the leaders in consumer electronics, including such companies as AT&T, BlueAnt Wireless, Hasbro, JVC, Kenwood, Mattel, Mitsubishi, Toshiba, Uniden, VTech, Samsung and Sony. Sensory’s TrulyHandsfree™ Voice Control technology builds upon the initial success of TrulyHandsfree™ Trigger, and now offers multiple phrase technology that recognizes, analyzes and responds to dozens of keywords. It consistently recognizes phrases even when embedded in sentences and surrounded by noise. Traditional approaches to keyword spotting have failed in high noise and frequently false fire, but TrulyHandsfree™ has excellent accuracy without false fires even in high noise and speech. Smartphones, Bluetooth devices and consumer electronics for the home and the car can now offer a TrulyHandsfree experience from beginning to end. The fully programmable CEVA-TeakLite-4 DSP enables the lowest power TrulyHandsfree implementation in the market, while leaving plenty of headroom to support other audio/voice related functions in software. Silentium is a leading provider of Active Noise Cancellation technology and adaptive sound management solutions. With superior technological development we are able to eliminate up to 90% of a sound – no matter if it’s a cooker hood, a ventilator system, a car engine, or even a noisy train. Our clients want to offer their own superior products, with a competitive edge. That edge as you might understand, can be the relative peace and quiet that comes with Active Noise Cancellation. We all know that loud noises create stress, stress is not relaxing, nor is it good for our health or our productivity. Our mission is clear. Actively remove as much noise as possible, either from the source of that noise or by creating zones of quiet or “Quiet Bubbles™”, as we like to call them. Skype is for doing things together, whenever you’re apart. Skype’s text, voice and video make it simple to share experiences with the people that matter to you, wherever they are. With Skype, you can share a story, celebrate a birthday, learn a language, hold a meeting, work with colleagues – just about anything you need to do together every day. You can use Skype on whatever works best for you – on your phone or computer or a TV with Skype on it. It is free to start using Skype – to speak, see and instant message other people on Skype for example. You can even try out group video, with the latest version of Skype. VOCAL Technologies, Ltd. (VOCAL.com), founded in 1986, is a leading designer of software and hardware solutions under license for voice, video, and facsimile and data communications. The company develops and applies advanced technologies for superior voice, video, fax and data communications. VOCAL is dedicated to providing our clients innovative design solutions for the highest quality communications at the lowest cost. VOCAL provides a broad range of Voice design solutions to support a variety of voice applications as well as voice communications over radio, mobile, PSTN and IP networks. Our voice designs may be configured from a suite of speech compression, echo cancellation, noise reduction and beamforming solutions to support your specific development effort. Waves is the world’s leading developer of audio plugins and signal processors for the professional and consumer electronics audio markets. Waves’ Maxx® technologies leverage its expertise in psycho-acoustics to provide custom semiconductor and DSP licensing solutions to consumer audio manufacturers worldwide. These solutions compensate for the acoustic quality limitations from small, power efficient speakers systems found in today’s most popular CE products such as LCD TVs, notebook PCs, portable speaker systems, and mobile phones. Maxx® is already being used by some of the most important audio and consumer electronic firms in the world including Dell, Asus, Altec Lansing, Audio Products International, Clarion, JVC, Microsoft, Samsung, Sanyo and Sony. Maxx by Waves currently offers three customizable suites of audio enhancement technologies, for both input and output processing: MaxxAudio for studio-quality music, movies and games; MaxxVoice for voice communications; and MaxxSpeech for improved Automatic Speech Recognition performance. Arteris, provides Network-on-Chip interconnect IP and tools to accelerate System-on-Chip semiconductor (SoC) assembly for a wide range of applications. Results obtained by using the Arteris product line include lower power, higher performance, more efficient design reuse and faster development of ICs, SoCs and FPGAs. 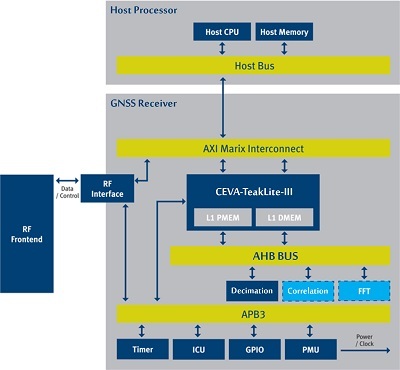 CEVA and Arteris have collaborated to bring Arteris’ advanced FlexNoC interconnect IP together with CEVA’s industry-leading DSP cores in a highly-optimized, high performance multi-core solution. Cortus S.A.S. is a technology enabler for rapidly growing applications including Internet of Things (IoT), wearable electronic devices, smart sensors and security. It has specialised in 32-bit processor cores which can significantly reduce manufacturing costs while achieving computational performance and power constraints. Integrated circuits containing Cortus cores have been manufactured in high volumes for a wide range of applications including automotive, CMOS imaging, M2M controllers, secure execution, sensors, SIM cards, PayTV cards, smart metering and wireless. The Cortus APS3 is a fully 32-bit processor designed specifically for embedded systems. It features a tiny silicon footprint (the same size as an 8051), very low power consumption, high code density and high performance. A full development environment (for C and C++) is available for customisation and branding for final customer use. The ecosystem around the APS3 is rich and well developed; it includes tools, peripherals typical of embedded systems, bus bridges to ensure easy interfacing to other IP and system support and functions such as cache and memory management units. The APS3 processor core is currently in production in a range of products from security applications to ultra low power RF designs. Rambus provides advanced SerDes PHYs, including recently acquired Snowbush IP, to deliver maximum performance and flexibility for today’s most challenging multi-gigabit serial interconnect challenges. CEVA and Rambus (ex Snowbush) have collaborated to provide complete SATA & SAS solutions, combining CEVA’s SATA & SAS Controller IPs with Rambus’ advanced SerDes IPs. RISC-V (pronounced “risk-five”) is an open, free ISA enabling a new era of processor innovation through open standard collaboration. Founded in 2015, the RISC-V Foundation comprises more than 100 members building the first open, collaborative community of software and hardware innovators powering innovation at the edge forward. Born in academia and research, RISC-V ISA delivers a new level of free, extensible software and hardware freedom on architecture, paving the way for the next 50 years of computing design and innovation. The RISC-V Foundation, a non-profit corporation controlled by its members, directs the future development and drives the adoption of the RISC-V ISA. Members of the RISC-V Foundation have access to and participate in the development of the RISC-V ISA specifications and related HW / SW ecosystem. The Foundation has a Board of Directors comprising seven representatives from Bluespec, Inc.; Google; Microsemi; NVIDIA; NXP; University of California, Berkeley; and Western Digital. ARM is the industry’s leading provider of 16/32-bit embedded RISC microprocessor solutions. The company licenses its high-performance, low-cost, power-efficient RISC processors, peripherals, and system-on-chip designs to leading international electronics companies. ARM provides its Partners with a total technology solution comprising cores, tools, platforms, and other Intellectual Property (IP) components required in developing a complete system. Brite Semiconductor is a world-leading ASIC design solution provider, targeting at ULSI ASIC/SoC chip design on SMIC advanced 55nm/40nm/28nm process technology and turn-Key solutions. Brite Semiconductor provides flexible one-stop services from RTL/netlist to chip delivery, and seamless, low-cost, and low-risk solutions to customers. Brite Semiconductor also provides comprehensive silicon proven “YOUTM” IP portfolio and silicon platform solution, which can be widely adopted in consumer electronics, IoT, wearable devices, communications and computers, as well as industrial and municipal areas. As part of YouIP portfolio, YouSiP (Silicon-Platform) solution provides a prototype design reference for system house and fabless to differentiate their products and win the market rapidly. Brite Semiconductor was founded in 2008 by venture capital firms from China and abroad, and collaborated with Semiconductor Manufacturing International Corporation (SMIC) as strategic partners in 2010. Headquarter in Shanghai, Brite has two subsidiaries of Beijing Brite IP and Hefei Brite Technology and has set up offices in US, Europe, Japan and Taiwan providing services to customers. The greatly increased functionality incorporated in today’s IC designs must use existing proven IP components to meet market windows. However, there are too many different kinds of IP due to function requirements and technology node differences for any one company to provide. As part of GUC’s total solution for customers, GUC’s IP Eco-System allows you to work with products from GUC, TSMC and other IP vendors to provide the widest range of design options for designers to complete their projects in a timely and cost-efficient way. Inomize is a professional Research & Development firm specializing in the design and delivery ofhardware solutions and SOC design services. Utilizing proven methodologies, Inomize achieve a firsttime right design in minimal time, with the highest level of quality. Established in 2007, Inomize is a fast-growing company and the largest ASIC design firm in Israel. Among their customers you will find large international corporations and startup companies from Israel, Europeand North America. Inomize offers a wide range of services tailored to meet customers’ project needs and productconstraints in terms of cost, performance and power consumption. Inomize services include: turnkey ASIC projects, architecture definition, algorithms development, RF/Analog mixed signal design, board design, FPGA and more. Lauterbach is the leading manufacturer of JTAG debuggers and real-time trace tools. Highest quality, innovation and expert support have lead to Lauterbach’s worldwide leadership in the JTAG and in-circuit-emulator market. It is an international, well-established company with branch offices in the US, Europe, Japan and China. Lauterbach’s Trace32-PowerDebug enables CEVA customers to conduct real-time debugging of multi-core environments that incorporate CEVA DSPs. The TRACE32-Powerdebug supports Multi-Core debugging together with other cores (e.g. ARM, MIPS or C166). All trigger and trace features of the chip are supported. Graphical variable displays and dedicated commands to handle large arrays support the development of DSP specific code. Working together, Lauterbach and CEVA significantly accelerate application and chip development for complex, multi-core System-on-Chip (SoC) thanks to concurrent multi-core debugging of CEVA DSP Cores. This is a key element in the development and testing of SoC design where successfully debugging an application running simultaneously on two or more processors is vital to meeting a project’s timeline and its time-to-market. Lauterbach’s TRACE32 Debugger works with either multiple CEVA DSP cores or a combined CEVA DSP and other microprocessors. MooreElite is a world-leading IC design accelerator, providing ASIC design and turn-key solutions across multiple market sectors. MooreElite strives to provide one-stop services from RTL/SPEC/FPGA to chip delivery. Our services include but are not limited to: Chip Architecture Planning, IP Selection, Digital Frontend Design, DFT, Digital Verification, Physical Design, Layout, Tape-Out, Assembly and Testing services. Our team has been serving customers with knowledge of how to get the most out of silicon since 2012, offering maximum flexibility with turn-key, NRE, consulting and on-site support services. Headquartered in Shanghai, MooreElite has offices in Beijing, Shenzhen, Hefei, Chongqing, Suzhou, Guangzhou, Chengdu, Xi'an, Nanjing, Xiamen, Hsinchu and San Jose. MooreElite has launched the IP Cloud service in July 2018 with the most comprehensive IP platform in Chinese Semiconductor industry. The platform strives to be the “Google” of Silicon IP; it is already the one stop station that represents more than 100 leading IP suppliers for IC designers seeking IP solutions. Responding to the high demand from the Chinese market, CEVA has offered the IP solutions in the portal, http://cloud.mooreelite.com/ip. MooreElite IP Cloud platform will also be providing valuable functional assistance for global IP providers and designers with constantly updated News Center and Knowledge Center databases in future updates. MosChip is an end-to-end product development company Established in 2000, MosChip is the First Fabless Semiconductor Public Company traded in India with 18+ years of experience. MosChip is an end-to-end product development company with focus on Product Engineering in Mixed signal IP, Turnkey ASICs, Semiconductor and IOT solutions catering to the Aerospace and Defence, Consumer Electronics, Automotive, Medical, Networking & Telecommunications, and Mobile industries. Our unique processes are specifically designed to comply with the high performance and long-term reliability needs of our customers. Over the past decade, MosChip has gained products and technology diversity, complexities, time-to-market expectations and a balance between global market needs. TandemG is a software and hardware R&D service provider that specializes in providing solutions to companies around the world. Its client base spans around a range of companies, from startups and up to market leaders. The company’s areas of expertise include RT & Embedded systems, Windows Kernel & Internals, Mobile & Desktop applications and Electronic design. TandemG specializes in complete solutions, design and implementation involving a wide range of CEVA’s DSPs. TandemG has vast proven experience in definition, architecture, design, implementation and integration. TandemG is all about tailoring suited solutions for embedded and mobile applications according to customer needs. P-Product is a CEVA certified software design center. It specializes in developing, optimizing and porting communications, audio and video algorithms and applications for embedded CEVA DSP platforms. P-Product has extensive expertise in LTE and WiMAX technologies. P-Product develops efficient implementations of digital signal processing software based on standard or custom specifications using algorithm optimizations and deep implementation optimization. The company has extensive experience in audio and video codec porting. UltraSoC’s technology helps SoC developers design & debug complicated chips, particularly multi-core The company’s semiconductor IP and software products gives engineers and architects full visibility: making it easy to understand everything in a chip, identify problems, tune performance, reduce power consumption and reduce cost. By hard-wiring non-intrusive vendor-neutral analytics circuitry into the chip, UltraSoC accelerates time-to-market, reduces bugs and increases quality, de-risking the SoC development process. UltraSoC provides a library of IP components designed to instrument SoC or FPGA designs. Its modular, message-based architecture gathers information about the behavior of the system, non-intrusively and at wire speed to help debugging, development and optimization. UltraSoC blocks are delivered as parameterized soft cores, allowing capabilities to be balanced against gate count according to the needs of the application on a per-instance basis. This can help identify problems, measure performance, improve operations, reduce power consumption or identify inefficiencies to enable cost reduction. Veriest is headquartered in Israel with a R&D site in Belgrade, Serbia. Our team has accumulated a wealth of experience through our involvement in projects in the forefront of semiconductor technology. Veriest maintains unrivaled quality standards in terms of both service and knowledge. With the ability to take on all significant parts of the design process ourselves, we offer detailed expertise coupled with a big-picture view that enables us to successfully address any issue that arises during the verification process. By demanding complete accuracy and taking into account all the intricacies of each specific case, including schedules, resource limitations and technical specifications, Veriest is able to achieve the very best levels of efficiency. VWorks is an industry leader in the development of new technology and business solutions for electronic system level development. VWorks seeks to advance and proliferate the use of modeling, simulation, virtual prototyping and other computer software based means for enhancing the capabilities of electronic system level design technology and reducing or eliminating the need for physical lab set ups, hardware prototypes, multiple hardware revisions, and throw away hardware. Since 1990, CMX Systems has offered very small and blazingly fast Real Time Operating Systems (RTOS), TCP/IP stacks, CANopen protocols, and Flash File Systems for virtually any embedded application. CMX also distributes a significant number of compiler tools from a variety of popular manufacturers to provide a single purchasing source for embedded designers. All CMX software is economically priced, requires no royalties, and features free source code and fast, expert technical support. CMX-RTX is a truly preemptive, multi-tasking RTOS supporting the Palm and Teaklite series of processors. This “lean and mean” RTOS offers the smallest footprint, the fastest context switching times, and the lowest interrupt latency times available on the market today. CMX-RTX is licensed with a low, one-time fee and features full source code, no royalties on shipped products and free technical support and software updates. Enea’s flagship product family, OSE™, was introduced in 1984, and has become the world’s most tested and trusted real-time operating system. OSEck (OSE Compact Kernel) is a DSP-optimized version of Enea’s full-featured OSE RTOS. Occupying as little as 8 kbytes of memory, OSEck delivers fully-preemptive, event-driven real-time response and features built-in error detection and handling. This combination makes OSEck ideal for telecom, datacom, automotive, industrial control, medical and mil/aero applications with tight memory constraints that require reliable real-time control and signal processing. FreeRTOS is the market leading real time operating system (or RTOS), and the de-facto standard solution for microcontrollers and small microprocessors. Located in San Diego, California – Express Logic’s mission is to provide the absolute best quality software solutions for deeply embedded applications. In addition to providing the very best software products, we philosophically believe in licensing our products in a non-royalty fashion along with providing complete source code. This combination of having superior products and a practical business model is paying huge dividends. The name recognition and popularity of ThreadX is growing tremendously from year to year. ThreadX is Express Logic’s advanced Real-Time Operating System (RTOS) designed specifically for deeply embedded applications. ThreadX has many advanced features, including its picokernel™ architecture, preemption-threshold,™ event-chaining,™ and a rich set of system services. Combined with its superior ease-of-use, ThreadX is the ideal choice for the most demanding of embedded applications. Count on Quadros Systems to provide you with the right technology for your embedded project. From real-time operating systems to file systems; from embedded USB solutions to high performance TCP/IP stacks, we have what you need to complete a successful development project. The RTXC RTOS has been leading the way in innovation. The breakthrough RTXC Quadros RTOS is a fundamentally different approach to real-time operating systems. We are not content to continue to sell technology that is just “good enough.” Our multi-kernel approach is based on the fact that no single processing model can hope to address the needs of all embedded applications. We used our years of RTOS experience as a launching pad for this new design that provides the flexibility to efficiently support the divergent needs of embedded platforms: DSP, MCU, MPU, convergent (DSP+MPU) and multicore. Semiconductor Manufacturing International Corporation (“SMIC”; NYSE: SMI; SEHK: 981) is one of the leading semiconductor foundries in the world and the largest and most advanced foundry in mainland China. SMIC provides integrated circuit (IC) foundry and technology services at 0.35-micron to 40-nanometer and has begun offering advanced 28nm process technology. Headquartered in Shanghai, China, SMIC has a 300mm wafer fabrication facility (fab) and a 200mm mega-fab in Shanghai, a 300mm mega-fab in Beijing, a 200mm fab inTianjin, and a 200mm fab project under development in Shenzhen. SMIC also has customer service and marketing offices in the U.S.,Europe, Japan, and Taiwan, and a representative office in Hong Kong. Hard macros offered for this Foundry. Design And Reuse (D&R) was founded in 1997 to promote the Intellectual Property (IP) concept in Electronic Systems. Its efforts led first to the creation of a worldwide B2B portal. D&R, as a software vendor, licenses IP packaging and IP exchange intranet technology through 4 products namely IP Provider Station, IP intranet Consumer Station, IP Intranet Reuse Station and recently SoC Collaborative station. Based on its early experience, D&R licenses technology and services to make IP sharing and reuse happen worldwide and in each electronic design enterprise through 3 major products. To IP providers, D&R offers the best vehicle (IP ProviderSstation) for publishing their offers through electronic catalogs, packaging their IPs and optimizing their delivery to customers while providing outstanding customer support. Automated catalog update, easy and efficient client data base management, and reliable IP delivery process will allow them to save resources while creating the best communication channel to their customers for mutual satisfaction; This will let them focus more resources on their excellence domain which is the IP design. For large intranet corporations, D&R offers an innovative technology (IP consumer Intranet station) for organizing intranet catalogs for pre qualified external supplier and installing IP delivery stations for external suppliers under corporate contract; This will give a better insight to Asic project designers for selecting and using external suppliers and will drastically save time to market for their best Asic designs. Finally D&R delivers to large corporations the Premier internal reuse station (IP reuse Intranet Station) so efficient and so easy to use that designers can exchange their reusable blocks with close to no overhead. Within large corporations, information and IP source sharing of internal Intellectual property will become a reality by using D&R Technology; D&R believes that the Electronic design enterprise platforms have to be envisioned and implemented with the help and through the vision of experienced electronic design players in order to fully capture the needs of this community. ‘Connecting everyone and everything to a better future’ is the common purpose shared by every mobile operator across the planet. One common purpose illustrates our industry’s commitment to remain the leading contributor in creating a world where we are all connected and where the way we work and live together continues to transform and improve. The Embedded Vision Alliance™ is a worldwide industry partnership that brings together technology providers who are enabling innovative and practical applications for computer vision. Its more than 50 members include suppliers of processors, sensors, software and services. Founded in 2011, the Alliance is led by Berkeley Design Technology, Inc. (BDTI), an independent technology analysis and engineering services firm. BDTI manages the Alliance on behalf of the member companies. SemiWiki.com, the open forum for semiconductor professionals, is a leading online community of people involved with electronic devices and the semiconductor design and manufacturing ecosystem.